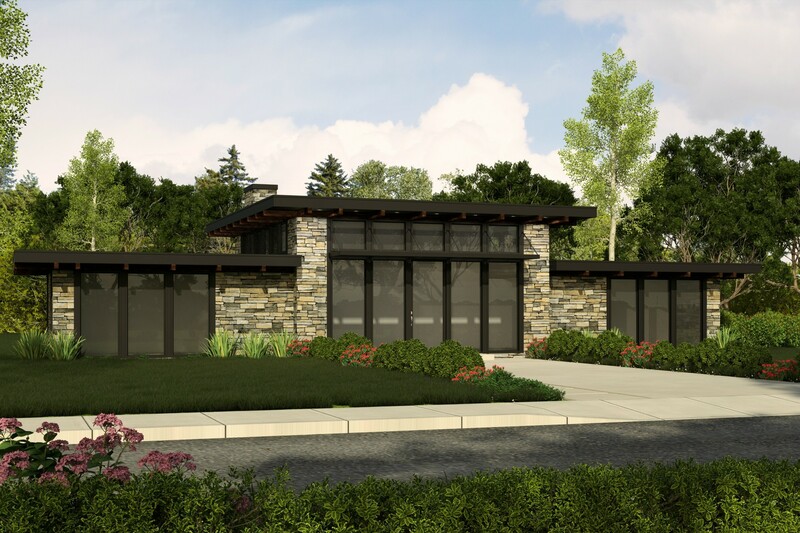 This small modern home has all the light, drama, and intimacy that you could want in a small house plan. 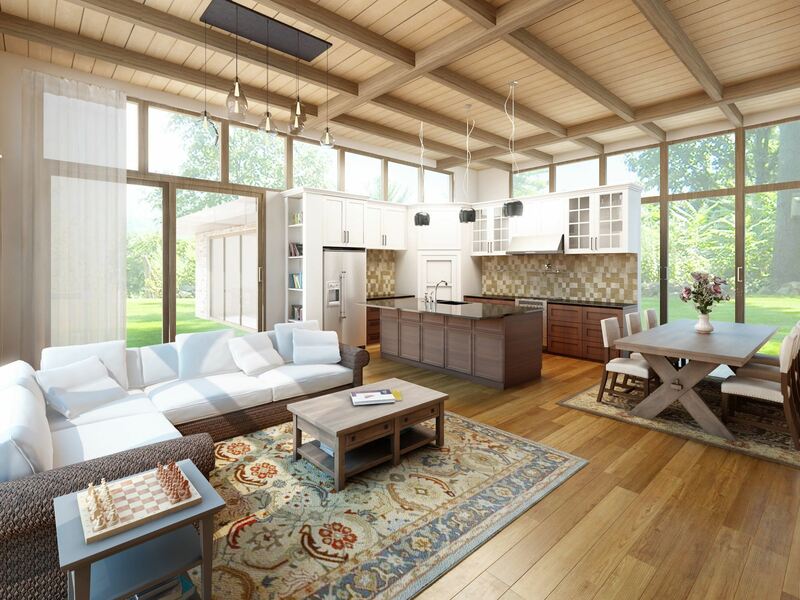 The entire great room, kitchen, and dining area are 12 feet tall with clerestory windows on all four sides. 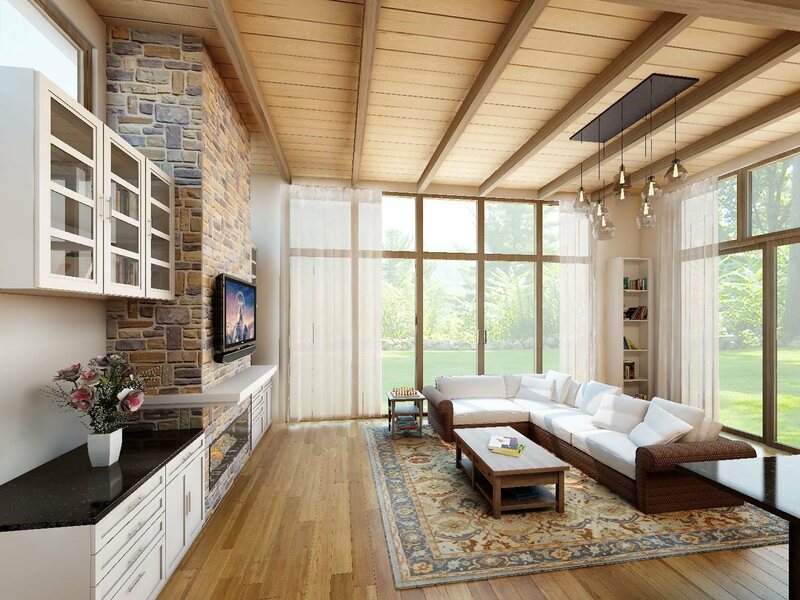 The great room opens to the outside through an expansive opening glass wall. There are two efficient bedroom suites on either side of this central core. The exterior is clean, balanced and just right for a modern taste. 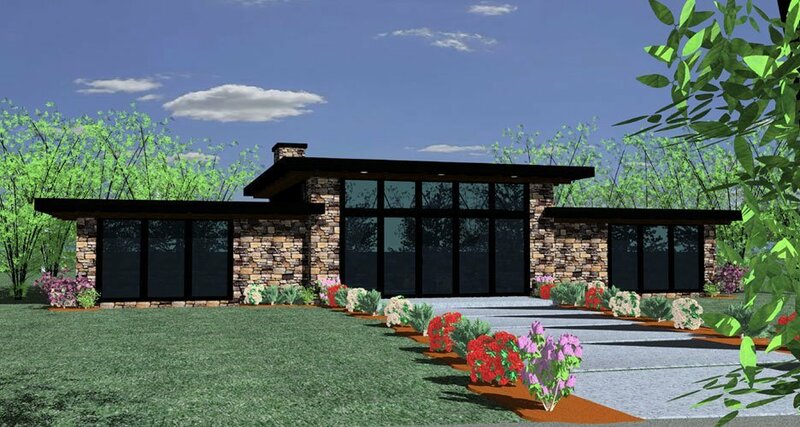 The optional one story small house plan with garage/studio MM-615 shares the same modern styling and offers a great deal of flexibility with the upper floor studio. do you have locations for utilities; electrical, mechanical, laundry? 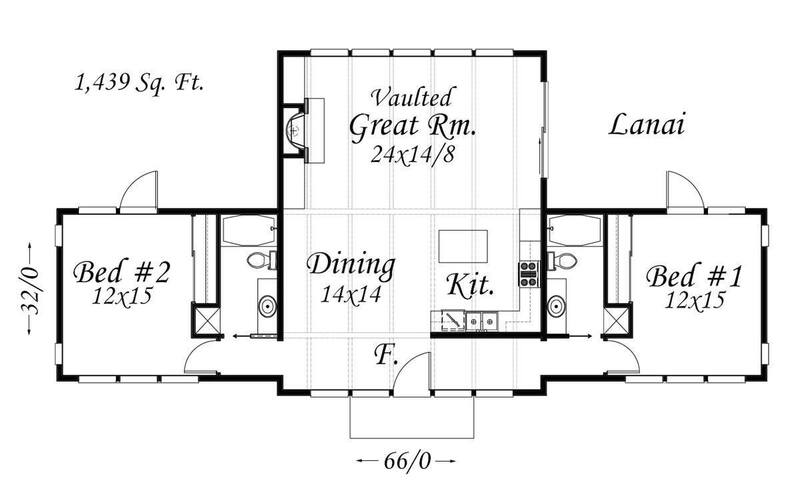 Yes the bathroom on the right side has a stacked washer and dryer (indicated by a square box with a cross hatch) In the same location on the left hand bathroom there is a similar graphic that indicates the furnace location. On demand water heater can be placed on any outside wall or a traditional water heater can go in the crawl space of the home..Electrical panel can be placed anywhere.